Our jumbo sized key caps are made from rubber-like vinyl. 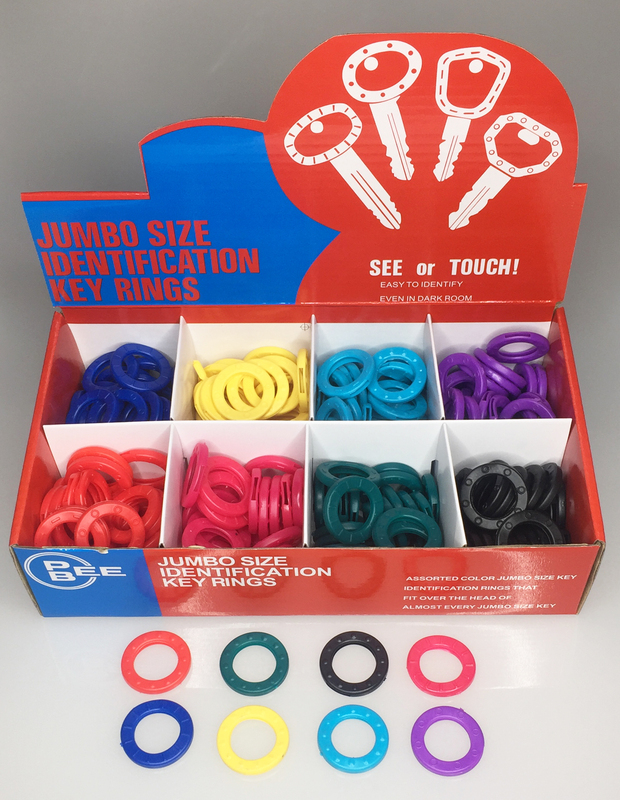 Available in our regular color assortment (Red, Green, Purple, Yellow, Black, Raspberry, Light Blue, and Dark Blue). These measure about 1 1/8" outside diameter. Packaging is 200/Display Box.